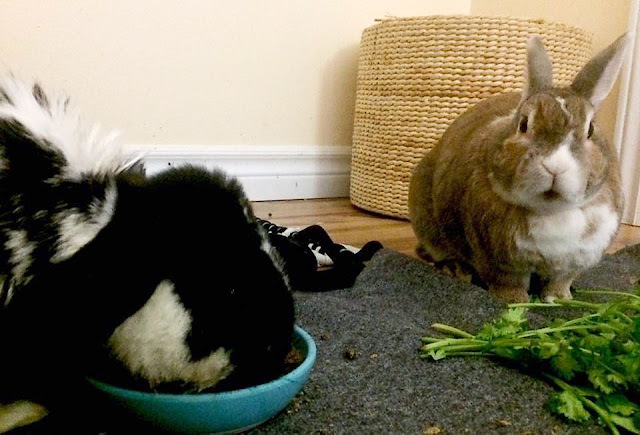 If you're not sharing pellets, then don't touch my cilantro! THAT's putting the old foot down! I approve of outspoken bunnies!